Home - Cosmetic Dentist Saline, MI - Brian Merkel D.D.S. Dentist Saline, MI - Brian Merkel D.D.S. Welcome! 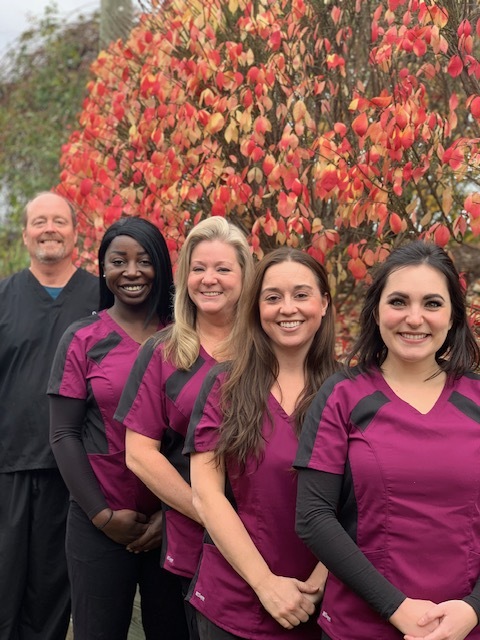 Since 1984, Dr. Brian R. Merkel has been working with patients to provide them with the best dental care in the Saline area. Dr. Merkel’s experience in dentistry is coupled with genuine concern for his patients and his staff is dedicated to your comfort and prompt attention. Our goal is to keep your teeth healthy and your smile bright! This web site provides you with an overview of our practice and the field of dentistry. As you navigate the site, you’ll find information about Dr. Merkel’s practice philosophy, his staff, our Saline location, insurance and financial policies and appointment scheduling procedures. Please browse the site at your convenience and feel free to contact us with any questions. You can also request an appointment by clicking here. You’ll find a lot of valuable information on the web site about dental problems, diagnoses and treatments. We believe informed patients are better prepared to make decisions about their health and well-being. We encourage you to review this information to help you understand any dental concerns you may face. Did you realize that regular dental checkups can help to identify symptoms associated with diseases such as oral cancer, diabetes, heart disease and pregnancy complications? The condition of the mouth often mirrors the condition of the body, so your dental provider may be the first health care provider to notice signs of a potential problem. A regular oral exam allows your dentist to keep your mouth in first-class shape and watch for any changes in your oral health. At Brian R. Merkel, D.D.S., we’re committed to providing the best dental care possible, while also watching for symptoms that may signal problems elsewhere. Dr. Merkel highly recommends that all patients receive an oral cancer screening every six months. This can be done at your regular cleaning appointment and only takes a few minutes. Just think! A few minutes could save your life!